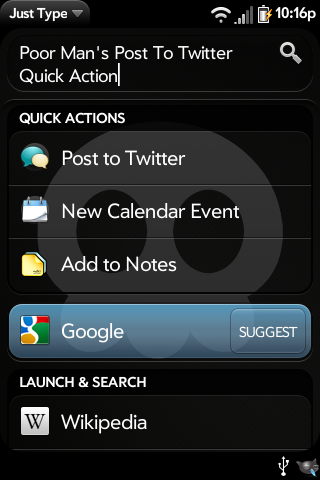 This patch modifies the default Quick Action for the Messaging app to prefill your contact as Twitter (40404). It changes the Quick Action to read 'Post to Twitter' instead of 'New Message'. THIS PATCH REQUIRES YOUR TWITTER SHORTCODE TO BE 40404. If your Twitter shortcode is not 40404, please see the Patch homepage to get a custom version for you.